We invite you to experience the charm and heritage of our little city as you pass historic homes built at the turn of the century on this scenic neighborhood route. Race fee includes race T-shirt and a great time! This is a USATF certified course and timing services will be provided by AllSports Timing. While you’re here, enjoy the festivities, food and fun of the 37th Annual Terrell Heritage Jubilee. 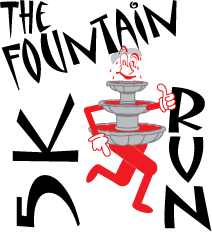 All proceeds from the 5K benefit the Volunteer Services Council of Terrell State Hospital. For more information, please visit http://www.tshvolunteercouncil.org/. Register early! T-shirts sizes guaranteed only until, and registration fee increases on April 3rd, 2019. Medals will be presented to top runners in each age group. To be eligible for an award, you must wear a timing tag.